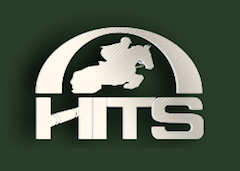 HITS, Inc. is a special events management company primarily focused on producing hunter/jumper horse shows. Based in upstate New York in the village of Saugerties, HITS produced its first horse show circuit in Gainesville, Florida in 1982. Since then, HITS has grown into a nationwide company with world-class hunter-jumper circuits in California, Florida, Arizona, New York, Virginia and Illinois. HITS produces three of the richest grand prix in the world with the Saugerties $500,000 Grand Prix in Saugerties, New York, the AIG $1 Million Grand Prix in Thermal, California and the Great American $1 Million Grand Prix in Ocala, Florida. Position Description Overview - The Digital Media and Customer Service Specialist is responsible for managing all aspects of digital marketing and communications and providing customer service through email, telephone and personal interactions with customers. The position is exempt. Nights and weekend days are required in this position. Travel is required. Key responsibilities are listed below as well as other tasks as assigned. Manage orders for participant shirts, finisher medals, swim caps, etc.